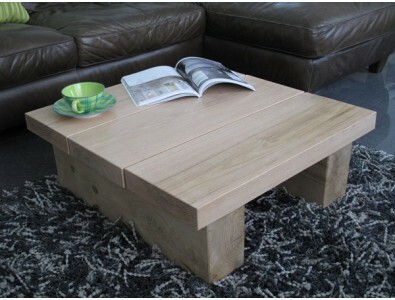 Our range of solid oak coffee tables come in a choice of sizes and 4 colour options. We only use green or semi air dried oak from sustainable sources for our tables, all of which are produced with a rustic theme. They will have splits and cracks, but this is an intentional part of their character. 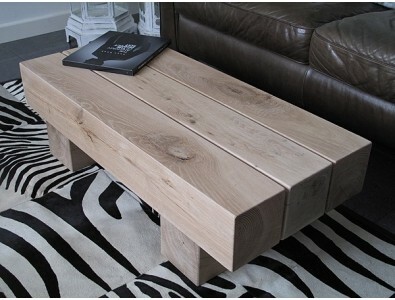 All of our oak coffee tables are very heavy and should last a lifetime. To facilitate delivery all of the tables are made with a peg and hole system which fit together very easily; this also helps if a customer needs to move a piece into a different location or for cleaning. 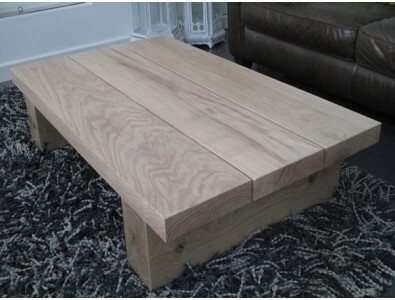 Whilst we suggest sizes for each style of coffee table, we stock large quantities of oak and are often able to quote for other sizes and variants. Please do not hesitate to contact us if you want a different size. 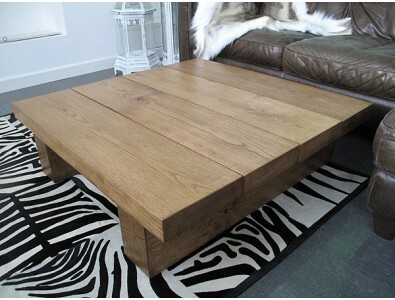 A heavy, solid medium oak coffee table constructed from 3 oak beams, with a further 2 shorter beams for bases. Ideal for both traditional and modern interiors. Hand made by ourselves with rustic charm. Available in 2 lengths and also available in light, dark or our new two-tone option. 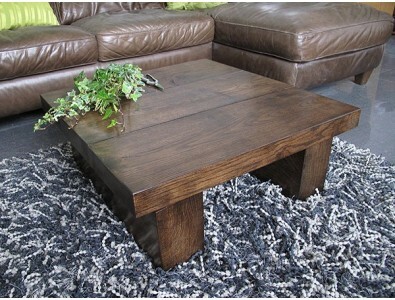 A modern design, low, dark solid oak coffee table. Hand made with a rustic appeal. Available in 2 standard lengths. 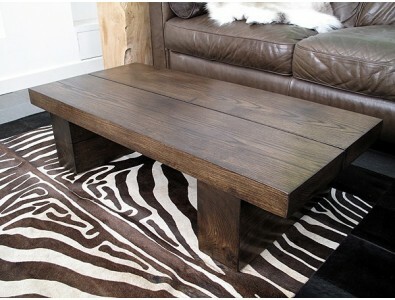 A heavy, solid dark oak coffee table constructed from 3 oak beams, with a further 2 shorter beams for bases. Ideal for both traditional and modern interiors. Hand made by ourselves with rustic charm. Available in 2 lengths and also available in light, medium or our new two-tone option. 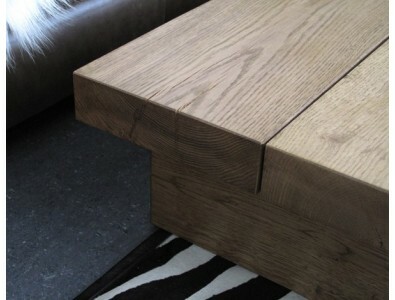 A modern design, low, light/natural solid oak coffee table. Hand made with a rustic appeal. 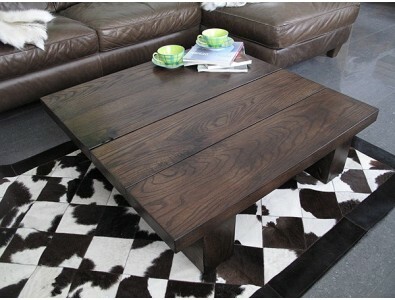 Available in 2 standard lengths, and 50% wider than our 2 board table. 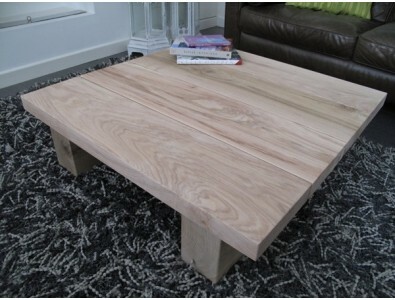 A Light oak coffee table produced from 2 solid oak boards and heavy oak sleeper bases. Finished with a clear natural wax. Available in 2 standard lengths. 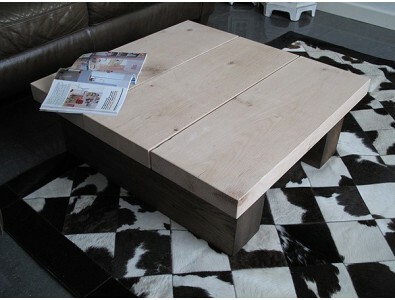 A modern design, low, medium, solid oak coffee table. Hand made with a rustic appeal. Available in 2 standard lengths. 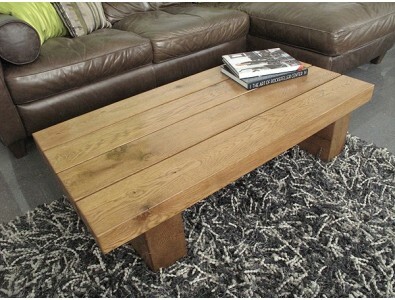 A heavy, rustic oak coffee table constructed from 3 oak beams, with a further 2 shorter beams for bases. Ideally suited to both modern and traditional rooms. Hand made by ourselves with rustic charm. Available in 2 lengths and also available in medium, dark or our new two-tone option. 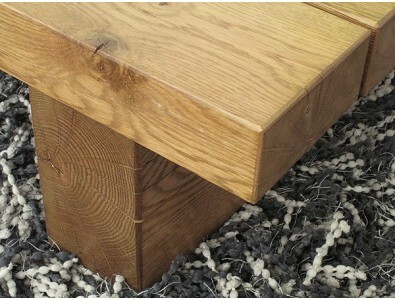 Low, solid oak coffee table using 3 narrow oak beams. Natural/light in colour. Available in two lengths. Suitable for both traditional and modern interiors. 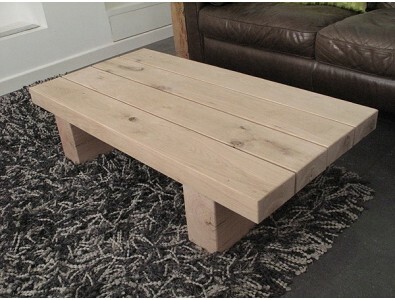 Low, solid oak coffee table using 3 narrow oak beams. Medium oak in colour. Available in two lengths. Suitable for both traditional and modern interiors. Rustic elegance. 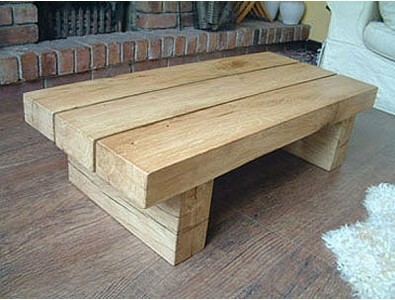 Low, solid oak coffee table using 4 narrow oak beams. Natural/light in colour. Available in two lengths. Suitable for both traditional and modern interiors. 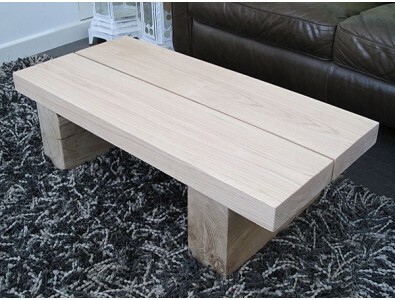 Low, solid oak coffee table using 4 narrow oak beams. Medium oak in colour. Available in two lengths. Suitable for both traditional and modern interiors. Rustic elegance. 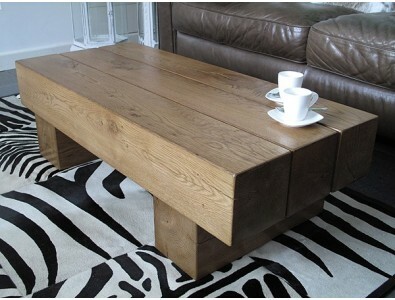 A new, and we think interesting, addition to our range this year, our two-tone solid oak coffee table constructed from 3 oak beams, with a further 2 shorter beams for bases. Ideal for both traditional and modern interiors. Hand made by ourselves with rustic charm. Available in 2 lengths and also available in light, medium or dark options. 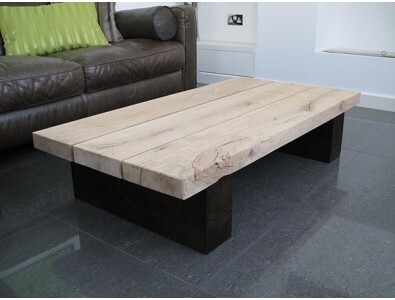 A 3 board square modern style coffee table with light oak board tops and dark base beams, but still retaining a rustic feeling and appearance. 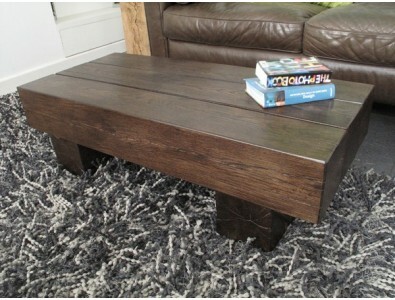 Hand made by ourselves here in the UK and finished with a dark oak stain and hard natural wax. A contemporary twist on a traditional style. 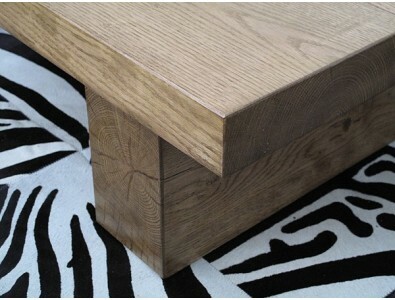 A modern design, low, two-tone solid oak coffee table. Hand made with a rustic appeal. 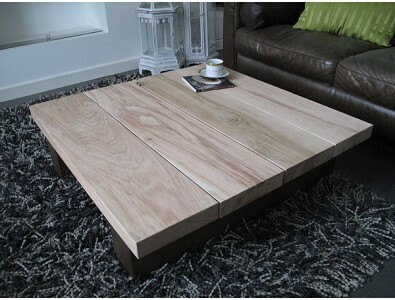 Available in 2 standard lengths, and 50% wider than our 2 board table. 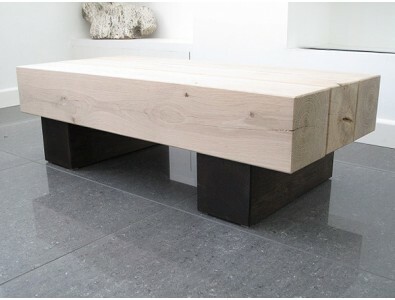 Light/natural oak top and dark bases. 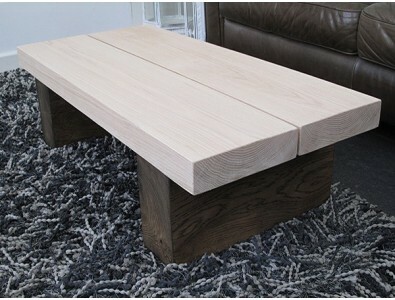 A modern design, low, two-tone solid oak coffee table. Hand made with a rustic appeal. Available in 2 standard lengths. Light top, dark bases.